A brilliant student starts hallucinating after moving into a room that was occupied by another who committed suicide..
Susanna is hungry for love and will go to any extent to find it in its purest form. In her quest for the perfect man, she gets married a number of tim...More. The decision by India's supreme court to establish caste-based reservations for jobs in education causes conflict between a teacher and his mentor..
Cyrus and April meet randomly online and they start getting close but they never reveal their true identities. But patience runs out and they finally ...More. A Secret Agent must race against time to stop terrorists about to unleash an unknown strain of the Ebola Virus..
Sameer Khanna lives a wealthy lifestyle along with his dad, Adesh, and mom, Suman, and studies in St. Marks High School. He is attracted to statuesque...More. After a series of bomb blasts in Mumbai, ACP Karan Malhotra announces that he will bring in the culprits responsible within a very short period of tim...More. In a bid to escape their domineering wives, two womanizing slackers get saddled with a corpse amongst other challenges in a foreign country..
Power struggles ensue in a gang after the sudden death of their leader..
Lovely Singh (Salman Khan) is the bodyguard of Sartaj Rana's (Raj Babbar) daughter Divya Rana (Kareena Kapoor). He is very devoted to his duties but i...More. A hockey enthusiast since 12 years of age, Toronto-based Rajvinder Singh, even went to the extent of trimming his hair, discarding his Pagri/turban, d...More. Jamshedpur-based Vedant Rawat lives a middle-classed lifestyle with his parents, Mukund and Sudha; and an elder deaf-mute brother, Vidhur, who is enro...More. Mussaddi Lal (Pankaj Kapoor), a retired school teacher goes on a pilgrimage for three months after his wife's death. When he returns, he finds his pen...More. Lara Dutta accompanied by Vinay Pathak rediscover the colors of India in their journey to Delhi.. 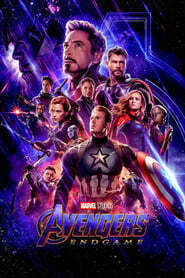 The police raid a theatre where movie tickets of a very successful film are being sold in black (illegally at a higher price). When Police Inspector S...More. 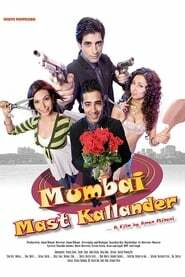 Bumbling cop Chatur Singh is sent on a special mission to South Africa to solve a high profile case involving the murder of a politician and a cache o...More. 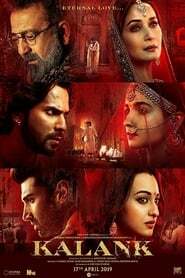 A gang of innocent but feisty kids who lead carefree lives in Chandan Nagar colony take own the big bad world of politics when one of their friend's l...More. 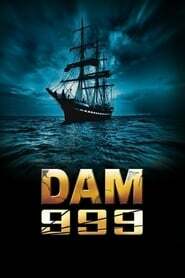 A group of former collegians are confined by a victim they had ragged 15 years ago..
After many years two mariners return to homeland with the hope of a new beginning, little did they know about a disaster that would change their desti...More. On a break from his pushy girlfriend, a male falls for the sister of his employer. Based in Malad West, Mumbai, Sameer lives a middle-classed lifestyl...More. Delhi-based Sonia agrees to deliver a package for Vladimir Dragunsky and asks her rather unkempt and debt-ridden fiancÃ©, Tashi Malhotra, to do it f...More. Based in England, Nikhil Mathur is employed as an Investment Banker and has a idealist girlfriend in Radhika Awasthi. His friend, Jignesh Patel, works...More. 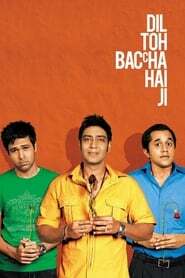 "Dil Toh Baccha Hai" is a slice of life film of three men... Naren Ahuja, Nikhil and Abhay Suri and their encounters with love! Naren, who works in a ...More. In 2006, with the ever looming dangers of the underworld in Malaysia, Don broke the morale of his associates by infiltrating the gang with an alias an...More. Double Dhamaal catches up with the quartet of good-for-nothings - Roy (Ritesh Deshmukh), Adi (Arshad Warsi), Manav (Jaaved Jaaferi) and Boman (Aashish...More. ACP Vishnu is sent on a mission to investigate and clean the underbelly of Goa. During his investigation, he uncovers a huge racket and discovers the ...More. 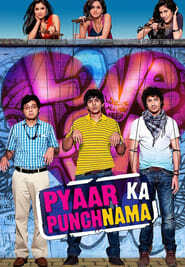 The story is focused on four good-for-nothing friends, Ritesh, Puja, Nanj and Vishnu. All four of them are always rejected from a administration to co...More. A training exercise for the LAPD SWAT Team goes terribly wrong when they find themselves pitted against two rival gangs while trapped in an abandoned ...More. Wife and mother Valerie Plame (Naomi Watts) has a double life as a CIA operative, hiding her vocation from family and friends. Her husband, Joseph Wil...More. Chancellor Adolf Hitler assists Azad Hind Fauj, led by Subhas Chandra Bose, which include a group of Indians who are frustrated with the Gandhian mann...More. In this town, the sky is full of kites, and all the kids are obsessed with kite-flying. There is a kite called KALI that rules the skies. No one knows...More. A Realtor encounters two ghostly entities while attempting to sell a mansion.. Employed with Paradigm Entertainment and assigned to work under Company President Ravi Agarwal by their employer, Wadhwa, two Mumbai-based rival colle...More. Vivek lives a wealthy lifestyle in Hathipole, Udaipur, along with his mother; father, Rameshwar; grandmother; and sister, Supriya. He takes money with...More. A high-school drop-out is smitten with a visiting American Researcher.. In his bid to quickly boost his career, a male alienates himself from his family, friends, and true love..
After getting bored with her love less marriage life, a wife decides to get a breathe of fresh air and meets a hit man..
Ladies Vs Ricky Bahl movie is a fun-filled rom-com where a smooth and charming conman, Ricky Bahl, cons girls for a living but finally meets his match...More. 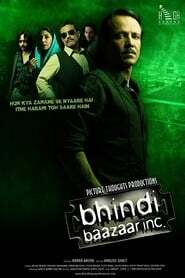 A woman recounts her story of being confined to live as the mistress of an an influential gangster..
Four burglars end up stealing a vehicle from robbers as well as unknowingly breaking in the house of a notorious gangster..
Love Breakups Zindagi is a movie which tries to answer the question related to love, breakups and life. A couple and many of their friends experience...More. Tusshar Kapoor plays Sahil, an artist who draws cartoons. 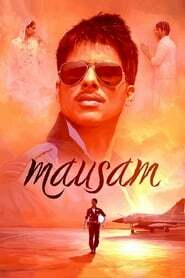 He falls in love with Amrita Rao, the daughter of a businessman, for whom Tusshar had deigne...More. Rhea is the quintessential girl next door, in love with Luv Nanda, the richest, most popular boy in college. On the eve of her 18th birthday, they pla...More. In order to secure school admission for his son, an impoverished auto-rickshaw driver enters a 'fixed' race..
Mausam,a love story in its first season start with mere adolescent attraction between a Punjabi boy Harry, and a Kashmiri girl Aayat, in a small villa...More. 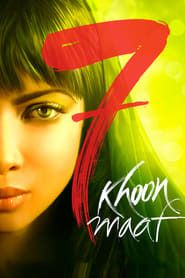 London-based Luv Agnihotri decides to end his bachelorhood and asks his Bollywood film-maker brother, Kush, to find a bride for him - much to the disp...More. Milta Hai Chance By Chance, a comedy movie. 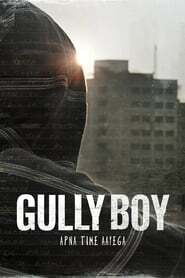 Starring Gracy Singh, Aslam Khan, Vishal Kaushik is directed by Ramesh Modi. Some of the story takes place...More. Public Prosecutor Mathur names an accused, Sandeep Mishra, and three other suspects who had arranged the homicide of Lucknow-based journalist Monica. ...More. Two incompatible collegians, with fake social network ids, are assigned to work together for their institute's annual celebrations..
Born in Ballygunge, Kolkata, Megha Chatterjee now lives in Mumbai and hopes to make it big in Bollywood. She has a hair-stylist friend in Rhea who has...More. A former police officer gets hired by a gangster to trace missing call girls and their abductor..
A young student Saha is in love with... angel..
Sweet, honest, and optimistic Michael Pinto has a knack for finding trouble. The search for a childhood friend leads him to the big city, and into an ...More. Laxminarayan Kapoor lives a wealthy lifestyle in London along with his religious wife, Maya; son Ravinder; and two nephews, Sandeep and Randeep. While...More. A reporter teams up with the sister of a murdered model in order to bring her case justice..
An aspiring movie actress and her boyfriend are arrested and charged with homicide..
One time bickering neighbors are forced to share the same apartment. The cultural clash between traditional-orthodox-India and modern-urban-India. The...More. In the old city of Ahmedabad, amid India's largest kite festival, a family duels, spins and soars like the countless kites in the skies above..
A second-generation Sikh in London gives up his dream to save his father's reputation until he meets a girl who gives him the strength to stand up for...More. Manchester-based Dr. Kabir Malhotra is late at arriving at a restaurant to meet his wife, Sia. When she is not there he naturally assumes that she is ...More. Outspoken and overly critical Nishant Agarwal meets gorgeous new co-worker, Charu, offers his help, assists her financially, and they become close fri...More. A father trying hard to â€˜fit-inâ€™ in his sonâ€™s badass world. A son trying hard to â€˜dude-upâ€™ his dad from â€˜aiiiyy...More. The quintessential couple, Ragini and Uday, set out to have a dirty weekend at a friend's farmhouse on the outskirts of Mumbai. The weekend getaway qu...More. Rascals movie is a comedy about the joys of conning where Sanjay Dutt and Ajay Devgn play two cool competing conmen trying to out-scheme each other in...More.